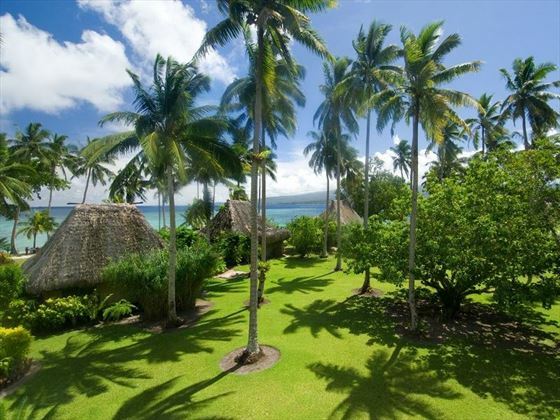 The luscious island of Qamea is shrouded in colourful jungle, framed by white sand beaches and gently swaying palms. 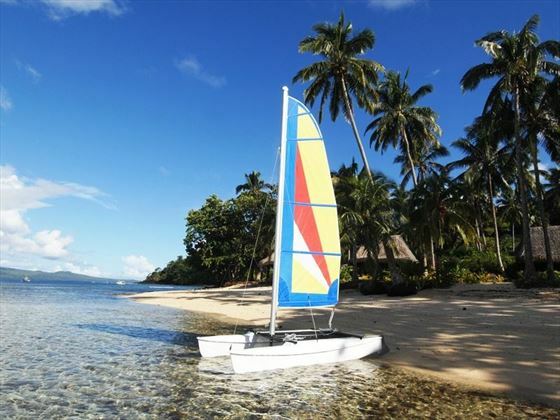 Nestled along the pristine sand lies the adults-only Qamea Resort & Spa, a beautiful hotel where the ambience is tranquil, and the pace is slow and peaceful. Set within 100 acres of tropical gardens, the 17 bures evoke a sense of romance, all situated on the beach with wonderful ocean vistas. Loved up couples will relish a stay in one of the Honeymoon Bures, nestled on the far end of the beach for a more secluded experience, whilst larger parties can enjoy each other’s company in one of the two spacious Royal Beach Houses, with their own plunge pool and expansive deck leading out to the ocean’s edge. 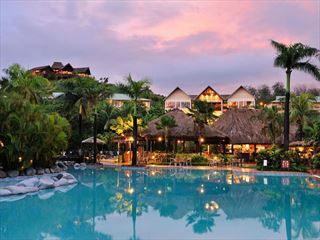 The main pool located within tropical flora is the perfect spot to chill, or you could indulge in an authentic Fijian spa treatment at the Jungle Spa. 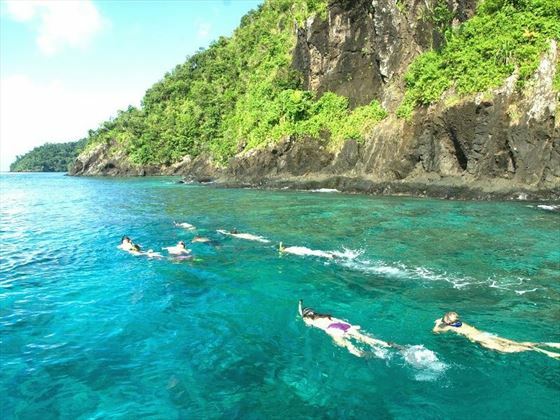 For the more adventurous there is the 5-star Padi dive centre, snorkelling, paddle boarding or surfing. The Bure Kalau restaurant’s deliciously fresh cuisine is a delicious way to end the day, as well as a sumptuous pre-dinner cocktail on the outdoor patio as the sun sets. 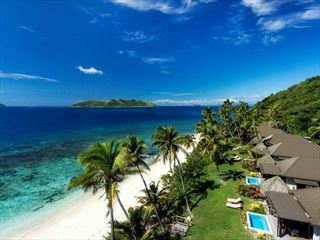 The hotel is located in the North of Fiji in the unspoilt island of Qamea, the entire resort fronts onto a private white sand beach over a kilometre long. You can fly into Nadi International Airport and from here fly onwards to Taveuni on a visual adventure flying over the azure blue waters, coral reefs and deserted islands ready for a welcome and personalised greeting on arrival by a Qamea staff member who will accompany you via private vehicle and transfer boat to the stunning resort. All rooms are beachfront, fully air conditioned, fan cooled, have large modern European bathrooms with romantic outdoor river stone showers, mahogany hardwood floors, soaring ceilings, separate living areas, four-poster canopy beds, large covered decks with outdoor furniture and a hammock. 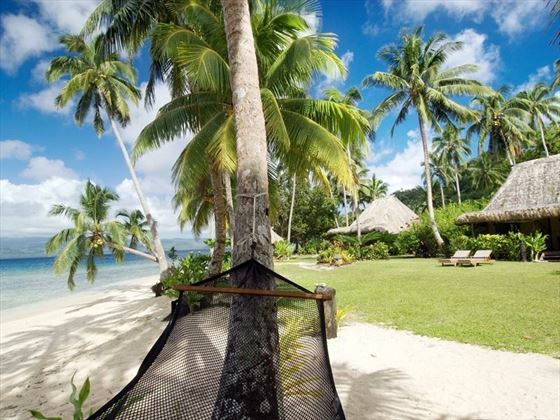 Beachfront Bure – Charming and rustic 65sqm bures nestled by the beach, featuring Fijian style décor, and a private veranda with its own personal hammock looking out onto full beach and ocean views – the perfect spot for watching the sun set. 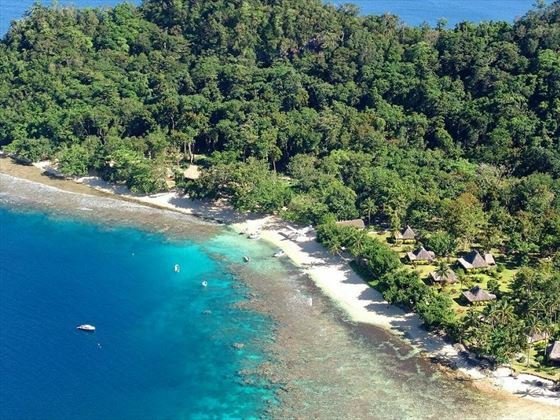 Honeymoon Bure – Secluded and romantic 85sqm bures nestled at the far end of the white sand beach, offering unsurpassable ocean, beach and lagoon views. 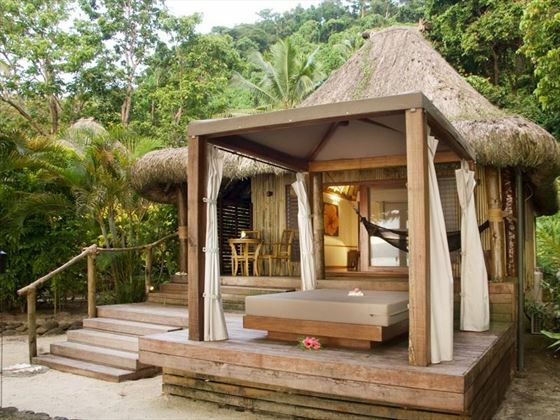 The Bure features a gorgeous four-poster bed, a private outdoor garden with a Jacuzzi spa pool and a covered and canopied private daybed on the beach. 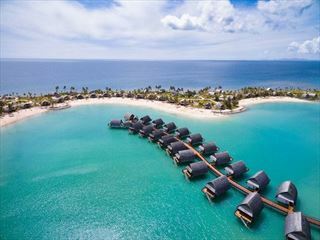 Royal Beach House – Situated on the furthest side of the beach, these pretty 150sqm villas offer the utmost privacy with outstanding ocean and beach views. 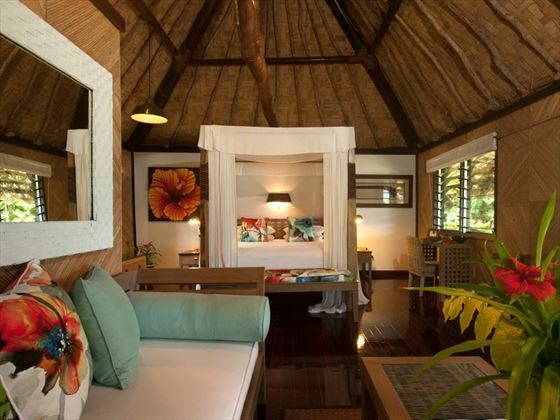 The villas feature a spacious bedroom and separate living area, a plasma screen TV and DVD player, an array of Fijian artwork, a gorgeous decking area leading out onto the beach, a private plunge pool, and an outdoor living area with a Jacuzzi spa. 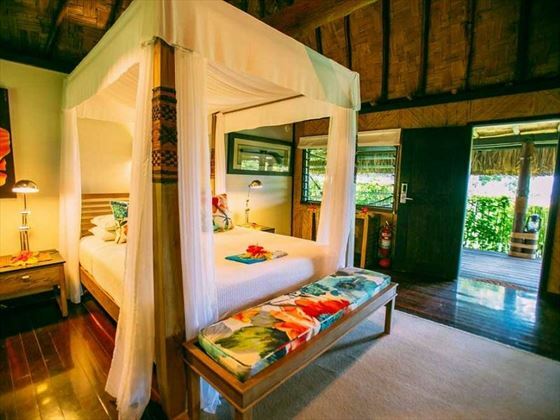 There is also a two bedroom/bathroom Royal Beach House – which is the owner’s private villa that can be rented out for couples travelling together or adult families. 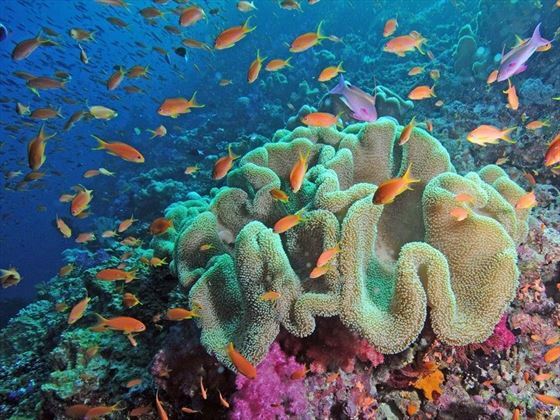 5 Star PADI dive centre - dive in world-class sites such as the Purple Wall, Qamea Freeway, Swirling Coconut etc. 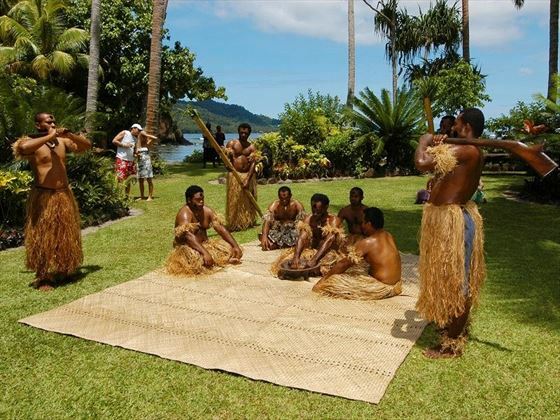 Sample the local Fijian cuisine at Qamea - well known for its excellence and use of the finest local ingredients to create a Pacific fusion. Seasonal ingredients are used along with freshly caught fish, and mostly organic fruit and vegetables sourced from the local gardens. 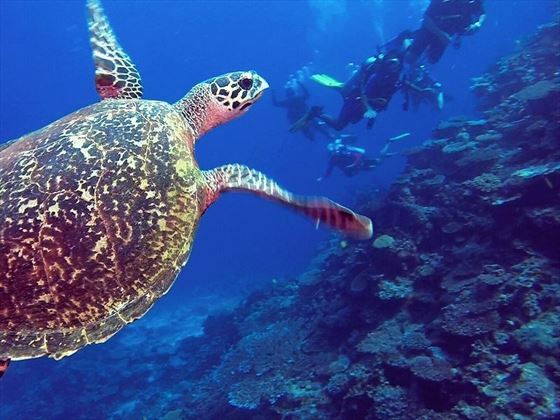 Bure Kalau – Nestled in the centre of the hotel, this charming restaurant offers delicious Fijian inspired gourmet cuisine as well as complimentary afternoon tea. The expansive al fresco patio that circles the dining room and bar is the perfect place to sip a cold drink and bask in the sun, or enjoy a pre-dinner sunset cocktail. Private Dining – Private dining is available for those hoping for an extra dose of romance, either under a private dining gazebo or on the beach. 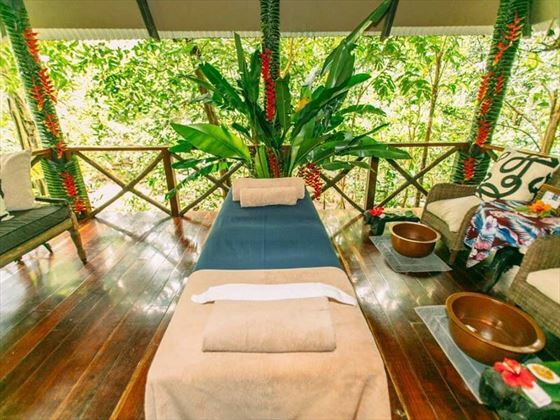 The Jungle Spa is a wonderfully tranquil sanctuary nestled in the vibrant jungle, offering a truly remote feel, plus divine Fijian body therapies and French facial therapies created with lush Guinot products.